Google has finally launched its feature packed GBoard keyboard for iOS in India, and it's simply awesome! 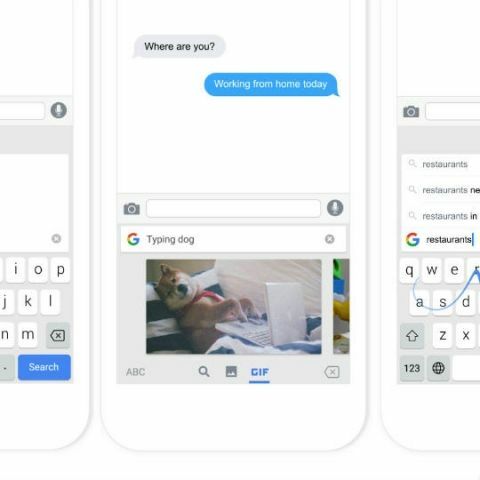 Unless you have been living under a rock, you would know that Google has finally launched its feature packed GBoard keyboard for iOS in India. So why is the Google Gboard for iOS all the rage right now? Let’s find out. Yes, Gboard allows you access to the world’s biggest search engine straight from your keyboard. By tapping the dedicated Google Search button on the keyboard, you can now search and share information at any time, on any app. 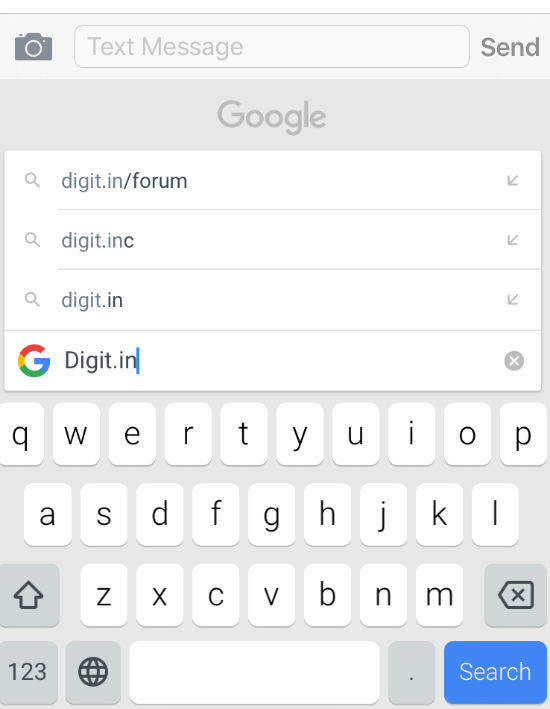 Be it writing an article on Notes or messaging your friends on WhatsApp, you can bring up search results from Gboard without having to leave your opened application. Those who own the iPhone 6 or higher models (except the iPhone SE), usually type with both their thumbs, while cupping the device between their palms. With the Google Gboard, those iPhone users can finally rest that other hand, as the keyboard supports Glide Typing. Yes, there are keyboards like SwiftKey that have had support for Glide Typing on iPhones for a while now, but they pale in comparison to the other smart features that come together on the Gboard keyboard. Of course, Google is listening to everything you type or say, but that’s a conversation for another time. 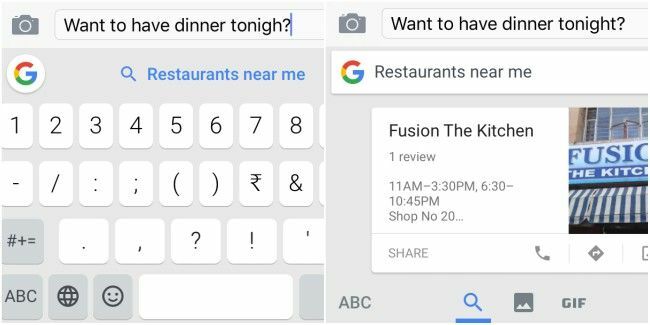 Predictive Search on Gboard recognises user intentions as they type, and suggests actionable information from Google. For example, if you message a friend - “Want to have dinner tonight?”, Predictive Search will ask you if you want restaurant suggestions. You could tap on restaurant suggestions and bring up a list of eateries near your location. You can also share the restaurant listing with your friend, without having to leave the conversation at all. Remember, if you don’t want Google peeking into your conversations, you can always turn off Predictive Search from Gboard settings. You also have an option of clearing your Gboard search history from the app settings. Along with Google search suggestions, Gboard also suggests emojis that you might want to use in a conversation. 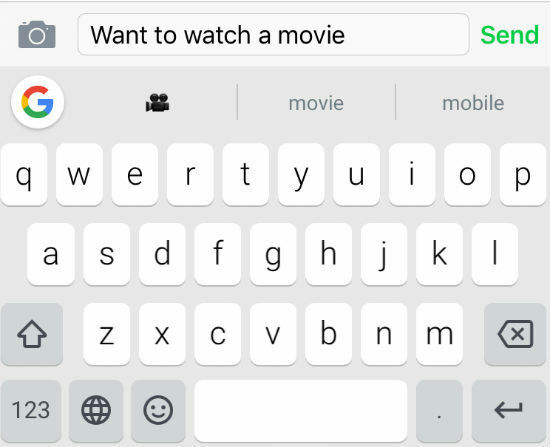 As shown in the image below, emoji search suggested a camera emoji on typing ‘movie’ in the message bar. Everything is better said with a GIF. If you are one who loves using GIFs in conversations, you are in for a treat! 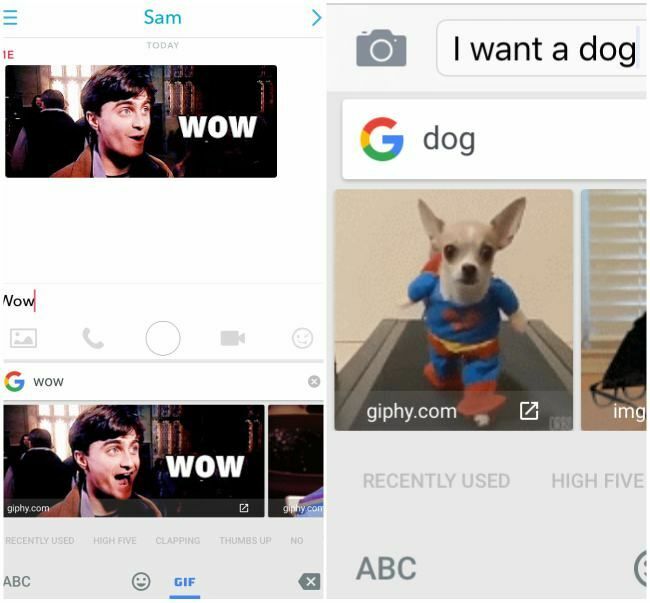 With the Google Gboard, you can now search for GIFs right from your keyboard. What’s great is that Gboard works with every messaging app. So it’s easier than ever to WhatsApp or Snapchat GIFs to your friends. Lastly, while typing a long message, sometimes it’s irritating to go for that full stop at the end of every sentence. With Gboard, you can just tap on the space bar twice to auto generate a period “.” punctuation. You could also turn off the feature from the Gboard settings if you like. Finally...Moving the cursor is easier than ever! Another great feature iOS users get with the Gboard keyboard is the ability to place the cursor at that sweet spot! iPhone users would know the pain of trying to edit a message by constantly tapping the screen to move the cursor in the right place. With Gboard, you can get the cursor to move wherever you please by lightly sliding your finger on the space bar. This will get your cursor to move between each character in a message...the way it was always meant to be! With all those amazing features and the power of Google on your fingertips, Gboard is simply the best thing that happened to iOS keyboards ever!